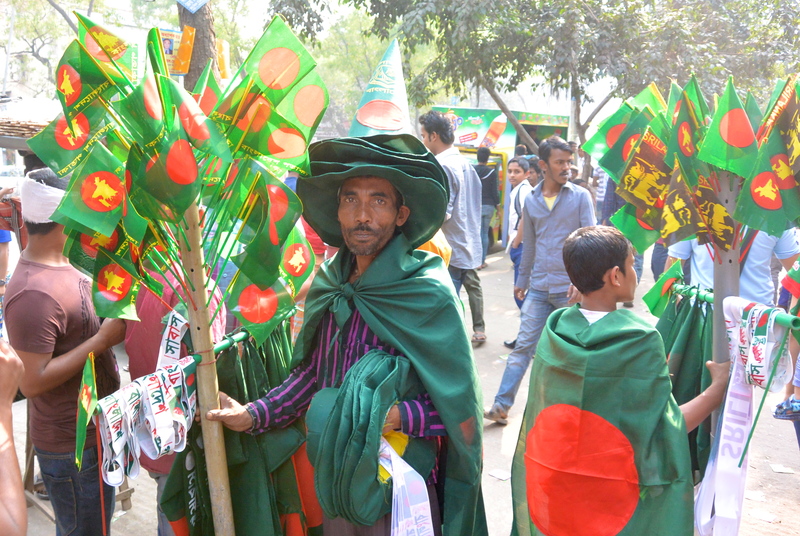 Yes, it has been a while since I posted anything new here and nearly forgot how to write for fun until I had the fortune to attend a cricket match in Dhaka. That’s when inspiration struck. Cricket. For people who have actually heard of it as a sport and not as a crop-killing insect or American cell phone service for the elderly, cricket rests high atop the pantheon of the most boring athletic activities known to planet earth. In the minds of many, or at least mine, cricket welcomes comparisons to other traditionally upper-class games of privilege and snobbery like polo, croquet, or bridge. All are probably enjoyable for the participants, but for the casual spectator of sports, they all fall miserably short in satiating the appetite for witnessing the beauty of the human body falling violently to the turf during a heart-pounding two-minute drive in American football or the thrill of Game 7 in the World Series. When I was younger, I had heard about cricket but never actually saw the game played. Referred to as a “gentleman’s game,” I knew it had English roots and therefore assumed it was basically lawn bowling with middle-aged, monocle-wearing British chaps smoking pipes and doing something with a ball. Turns out, I was mostly right. At least back then. Now, I have come to understand that cricket, due to Great Britain’s colonial heritage, is actually a sport that fuels the dreams of kids and adults alike in India, Bangladesh, West Indies, Zimbabwe, South Africa, as well as Australia and New Zealand. Moreover, cricket is a wildfire that has swept throughout the South Asian subcontinent and become a way of life for well over a billion people.